The SAM in SAM Search stands Spec and Addenda Mining. It allows members to search the entire spec book – not just the spec index. Trade names such as “honeywell”, “dupont”, “prosoco” and “trane” can be located quickly and easily within a spec. Other words that are difficult to find are readily available as well, such as “retaining wall”, “valve”, “crane” and all other specialty types of work. SAM Search is possible because we scan all spec books and addenda using OCR (Optical Character Recognition) technology. After the scanning process, the results are indexed and ready for searching. For an explanation of how to set up a filter using SAM Search, click here. 3rd: John Pile – Atlantic Construction Company, Inc.
2nd: Mike Hawkins – River City Interiors, Inc.
Congratulations to Rich and all of the other contestants. We had a great time! We hope to see everyone again next year for the 3rd Annual Chili Cook-off! It’s time to REGROUP! Unexpectedly high bids can send an owner scrambling for solutions to bring their project into reality. Whether they decide to reject all bids, revise the project to stay within b udget or find money elsewhere – these are the decisions an owner faces when seeing the gap between what they predict a project should cost and what price the construction industry places on it. After the economy crashed and construction went from a torrent to a trickle, cost of building products began creeping up. In particular, the cost of materials such as concrete, electrical wiring, and steel, coupled with the rising cost of petroleum products, transportation and insurance have made estimating projects a wild card. Two years ago it was not unusual to report bid lists in excess of 10 to 15 primes. Bidding was at rock-bottom prices, and bid cheaply just to keep enough work to employ their key people. But they were bid too cheaply and these unsustainable low prices have caused subcontractors, and general contractors to go out of business, tightening up the pool of qualified bidders. The key to having a project come into budget requires clear communication from the owner to the design team, and the design team evaluating the materials and systems to be used as they are integrated into the design. Input of knowledgeable contractors can be especially useful. This is where you can realize the full value of changing products, prior to bidding. Unfortunately, nonpayment is an increasingly common problem. Construction attorneys are often asked, “What can I do to get paid?” Here are some self-help tips on steps you can take to better your chances of getting paid. 1. Know who you’re dealing with. All too frequently contracts are made with inadequate knowledge of reliability. If you have not worked with an owner or contractor before, check them out before signing a contract. What financial information is available? Are there reliable references? Is the other party litigious or “claims happy”? Who is the payment and performance bond surety and what is the surety’s reputation? What is the experience and reputation of individuals that will be assigned to your project? These are important questions – so ask. 2. Have a written contract with the right provisions. While it is very important to have a written contract, it is also important that your contract contains the right provisions that will help you get paid. For example, your contract should include payment terms that specify what you get paid, when you get paid, and specify how change orders will be priced. Also, in order to help you recover amounts which have not been paid, parties should include interest above the statutory interest rate for late payments, and include a provision for attorneys fees and costs for collecting unpaid amounts. 3. Follow your written contract and lien deadlines. It is very important that you follow the written notice provisions in your contract for change orders and claims, no matter what you are told verbally. If you fail to follow the notice provisions for change orders and claims, the Court may find that your claims are barred. For example, in Carolina Conduit Systems, Inc. v. MasTec North America, Inc., No. 3:11CV133 (E.D. Va. 2011), the contractor repeatedly told the subcontractor “not to worry,” it would be paid for extra work. As a result, the subcontractor never obtained a written change order. The general contractor refused to pay for the extra work, and the Court upheld the contractor’s position. Similarly, it is also important to be familiar with mechanics’ lien laws and watch and follow them. Be aware of notice and filing deadlines, because a lien may be your only method of securing payment. Failure to follow the notice and lien filing deadlines and requirements will prevent you from obtaining a lien on the property. To assist your project team with keeping track of important deadlines, create a one-page summary outlining both key notice provisions in the contract and lien deadlines. 4. Get a copy of the payment bond and make a claim. If a payment bond is provided for your project, it is important that you obtain a copy of the payment bond at the beginning of the project (while the parties are friendly). It is difficult to obtain copies of the payment bond after you have not been paid. Payment bonds may have deadlines for claims notices and suits on claims. If you have not been paid, follow the notice terms of the bond (especially the notice deadlines in the bond), and send a demand letter making a claim against the bond to the bonding company with a copy to their principal. 5. Read carefully what you sign. 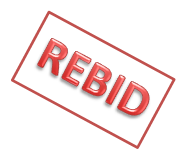 Contractors are given progress or final payment documents that include broadly stated waivers and releases. The unobservant may give up lien rights and claims by signing these documents. If you have claims or change orders that are pending approval or have not been approved, you should strike the provision or include a statement that you are not waiving pending claims or change orders, and then specifically name the pending and/or disputed change orders and claims. 6. Use the Kentucky Fairness in Construction Act to collect payment. The Kentucky Fairness in Construction Act of 2007 (“Act”) (KRS 371.405, et seq. ), regulates when payment should be made and how much retainage can be withheld by an owner, contractor, or subcontractor. If an owner, contractor, or subcontractor fails to follow the Act, and pay undisputed amounts due, you can recover interest at a rate of 12% per year if you follow the requirements of the Act. If the owner, contractor or subcontractor has acted in bad faith in refusing to follow the Act, you may be able to recovery your attorneys fees for collecting those undisputed amounts owed. Payments are to be made in accordance with the contract and the Act. The Act provides that payment of amounts due a contractor from a contracting entity (owner), except retainage, shall be made within thirty (30) business days after the contracting entity receives a timely, properly completed, undisputed request for payment. If the contractor has not been paid, the contractor should send a notice by certified mail to the owner twenty-five (25) business days following the submission of its undisputed application for payment. The notice needs to include the date on which interest shall begin to accrue. Similarly, Contractors shall pay their subcontractors any undisputed amounts due within fifteen (15) business days of receipt of payment from the contracting entity, including payment of retainage if retainage is released by the contracting entity. Until the project is 51% complete, the owner or contractor can only withhold 10% of the “undisputed payment due.” After the project is 51% complete, retainage held by an owner or contractor is calculated based upon the “total contract amount.” Thirty days after substantial completion is achieved, the owner can withhold 200% of the balance of the “contractually obligated . . . work remaining.” Just like with progress payments, the contractor shall release retainage within 15 business days after such retainage has been released by the owner. This article was written by Angela R. Stephens and Buck Hinkle with the law firm of Stites & Harbison, PLLC. If you have further questions about this article you can reach Mr. Hinkle at bhinkle@stites.com or Mrs. Stephens at astephens@stites.com.